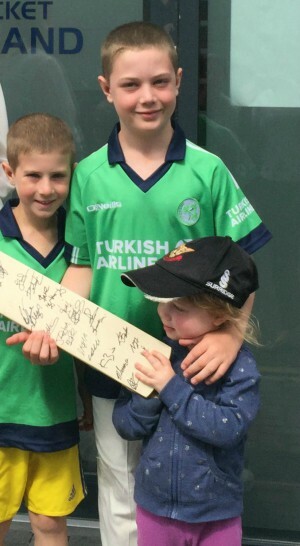 Congratulations to Ethan, Eli and Ada who won the signed cricket bat from our Junior Members’ competition this summer. They dropped in to the Cricket Ireland offices to collect their prize last week. Well done and keep up the backyard matches!